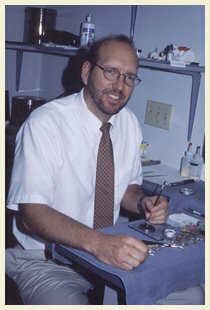 Eric R. Jahrling attended the University of Maine and received a Bachelor of Science (BS) in Biology (1980). Between college semesters, he worked at the Photo Lab at Massachusetts General Hospital (MGH). His formal ocularist five-year apprenticeship began in the same year and received his Board Approved Diplomate Ocularist (BADO) from the American Society of Ocularists (ASO). In 1987, he took the National Examining Board of Ocularists (NEBO) tests and became a Board Certified Ocularist (BCO). 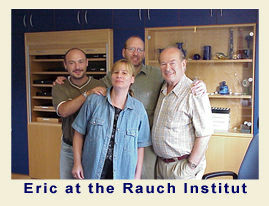 Since 1993, Eric has also traveled annually to Nürnberg, Germany for consultations on the fabrication of plastic eyes at the Rauch Institut für Künstliche Augen.